It's been 4 years since we visited Disney World and we miss our fun times out there with a family friend. We flew going to Florida and we rented a car to drive around even though there was a paid transportation from our hotel to Disney World. It was great having a rental car because we get to see other places other than Disney. If we ever visit Disney again, we will definitely look at the deals in America Car Rental so that we can secure us a ride that won't break our budget. When you have kids, traveling is a bit challenging but if you are well prepared, it will go smoothly and enjoyable. Last year, we decided to go on a road trip after our vacation got cancelled due to some kennel issues. We took our CRV and the miles added on our car is huge. I think that it is better to rent a car to drive than using your own. I mean, it might be cheaper driving your own but the wear and tear to your car will add up too. Anyhow, this year, we are not planning to have a vacation because we are going through a huge change. We are doing a big purchase and that would sure put a dent on our budget so traveling would not be in our plan this year unless a miracle happen like if we win the lottery lol. It would be nice to go on a long trip again though. We actually went on a short road trip last month for my son's birthday. We went to an indoor water park in Ohio which was a lot of fun. It was just a one day trip because we didn't put our dogs to the kennel so we had to come back. Traveling together us a family is always a precious memory. Our kids are well-travelled so that is something that makes road trips less stressful. They always look forward to going somewhere every year so I don't know how it is going to work out this year. Family travel is always a pleasure but you can't always do it when there are so many things to consider. I LOVE to road trip with the family. I'm not afraid of flying, I just think road tripping is so much more fun. I love traveling with my kids. I love making memories that we will all look back on fondly. We love to travel too! We are going on a BIG trip this year to see my hubby's family in another country! I hope you get more traveling in soon! Spur of the moment or planned trips are so much fun! But I agree with you, it does put wear and tear on your own vehicle. We try to budget in a rental whenever possible as well! I love traveling too. But as a dog owner, we have to consider where they are going to stay while we are gone. When we were growing up we would never have our family vacations planned or usually anyway. My dads family lived in Ohio so we would come home from school or playing and our parents would say pack your stuff we are leaving in the morning. It was so much fun to us. It is important for a family to take even a day trip each year because it is memories you will not forget. Thanks for sharing and I do believe renting a car can be better in the long run. I love traveling as well. It is such a great experience with the family. 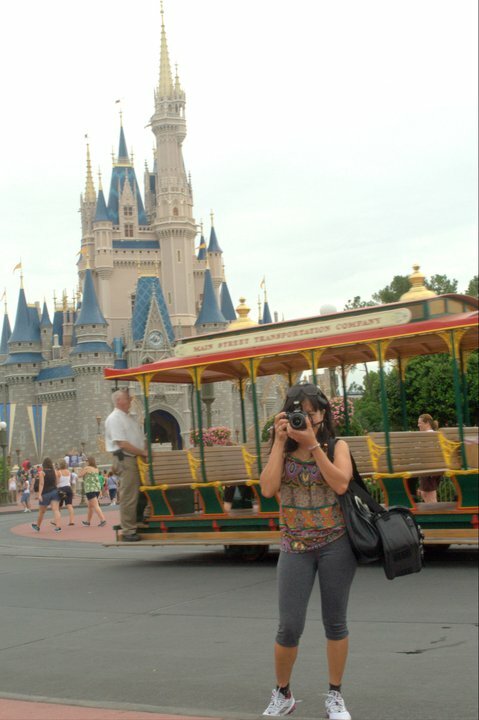 Disney is one of the places we haven't gone yet and I really hope we can go there someday. My kids used to love to travel when they were younger. It is hard to be able to go away now with them both being in College. I am glad you posted this. We like to travel as a family, and people are always amazed that we do not travel without the kids. I think our little ones deserve to see the world just as much as we do. It gives us so many fond memories, I love seeing their little eyes light up when we go someplace new! Great pictures! 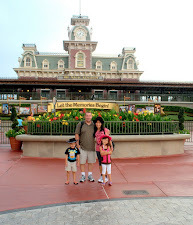 We have been discussing adding family vacations to our yearly budget and Disney is on the top of our list. Hershey would be amazing to visit as well. I just want to hit the road and introduce my little one to as many things as possible. Looks like you are enjoying doing the same. Memory making … that is what life is all about! So much to see in this world and those buildings are TALL!